Considering how noisy our daily lives are, there’s a fair chance most of us have some degree of hearing loss. Considering how noisy our daily lives are, there’s a fair chance most of us have some degree of hearing loss. In fact, we might not even notice it. But what happens if we allow our hearing loss to go untreated? Read on to learn more about some of the possible risks. Don’t hesitate to get your hearing tested as soon as you can! When your hearing begins to go, you may notice it right away. While this isn’t always the case, sooner or later you will come to realize that you don’t hear things that before, didn’t concern you. However, your hearing loss can affect your relationships with your loved ones – spouses, significant others, children, and grandchildren, too. This hearing decline can affect anyone of any age, so it’s vital to take good care of your ears. The holidays are almost here, so you’ve got to prepare yourself. 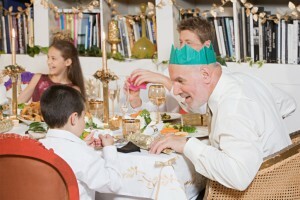 But even when there isn’t a special occasion, your hearing could cause problems with social interaction. Trouble following conversations, or remembering what someone just said to you a few minutes ago could indicate you have hearing loss. This state of affairs could become even more evident when you avoid attending a party or just want a pleasant evening out but are too afraid to leave the house and go into public spaces. There’s little need to debate that the hectic pace of our lives is exhausting. Besides all of the obligations for work, there’s always housework to do, and people to see and spend time with; however, when you have hearing loss, your brain is working in overdrive to make up for any possible shortcomings. Your mind has the constant need to fill in the gaps and that could also impact how well you retain information and form new memories. We’ve previously discussed how to use hearing aids more effectively while you’re at work. But when you have hearing loss, it can still affect your workflow and interfere with your ability to be productive. Don’t let your condition hamper your progress in your career and how well you can provide for your family. Your hearing is critical for effective communication with your colleagues and supervisors, and you might end up making more mistakes than you normally would otherwise. This entry was posted on Friday, November 17th, 2017 at 10:28 am. Both comments and pings are currently closed.